One of our favorite cafes in town shares its home with a life insurance company, AIA Vietnam. It sounds like an odd couple to pair up, though there is a meaningful story behind it. The team at AIA teamed up with local favorite WORK Saigon, to produce a working space that has helped create a different perspective on AIA’s work in life insurance in Vietnam. A collaborative, activated, friendly space, Nest by AIA has created a special space in one of Vietnam’s most iconic skyscrapers. It’s minimalist with a touch of Scandinavian style to make people feel comfortable and casual. While the space itself is aesthetically beautiful and functional, the top rated cafe inside the space is what makes it special. 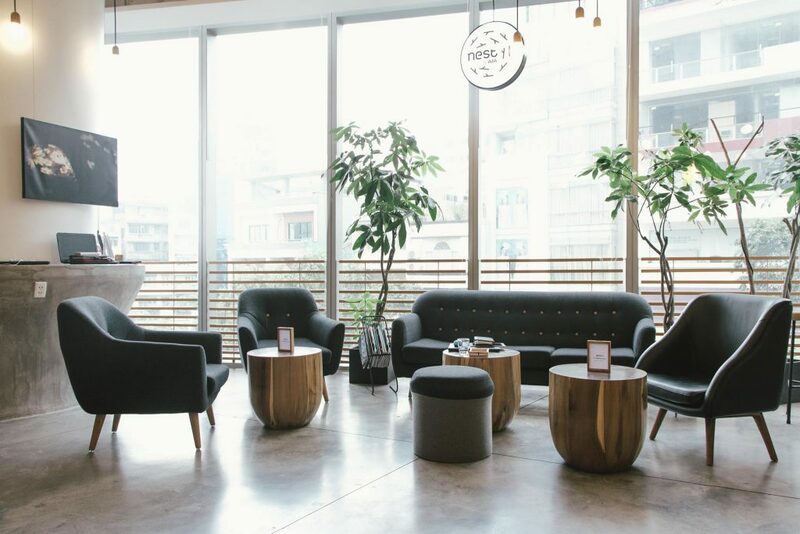 Featuring drinks such as cold brews, matchas, and Western and Vietnamese style coffees, Work Cafe puts up a nice alternative option to the Coffee Bean which is just downstairs. 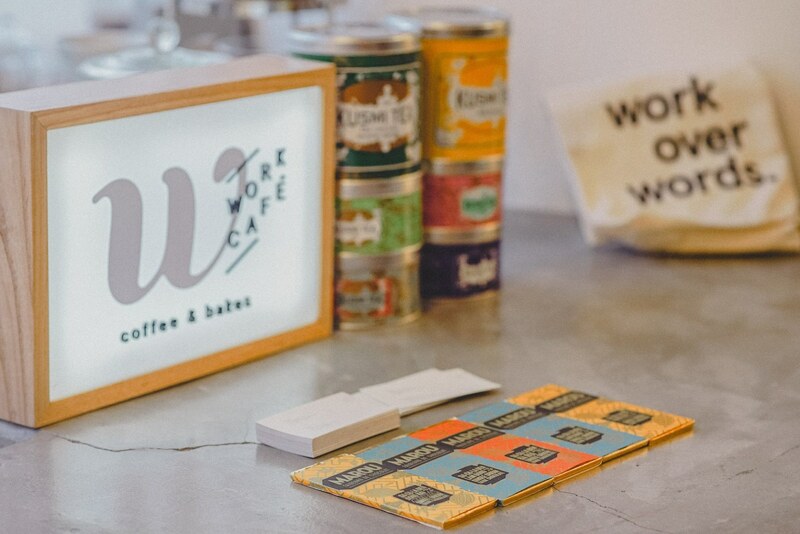 Complemented the coffee is a diverse selection of pastries offered by W Bakes, the sister company to Work Cafe. It’s easily accessible in the center of town and features one of the most reliable WiFi systems in town, since the space doubles up as an office and collaborative work space for AIA. Other than their coffee, Work Cafe features one-of-a-kind selection of pastries that can’t be found anywhere else in the city, at very affordable prices. It’s also worth checking out the design itself. Scandinavian at its core, but with touches of Vietnamese identity with books and magazines from popular Vietnamese authors and editorials. The work areas in the space are spacious and well-equipped by any cafe standards. 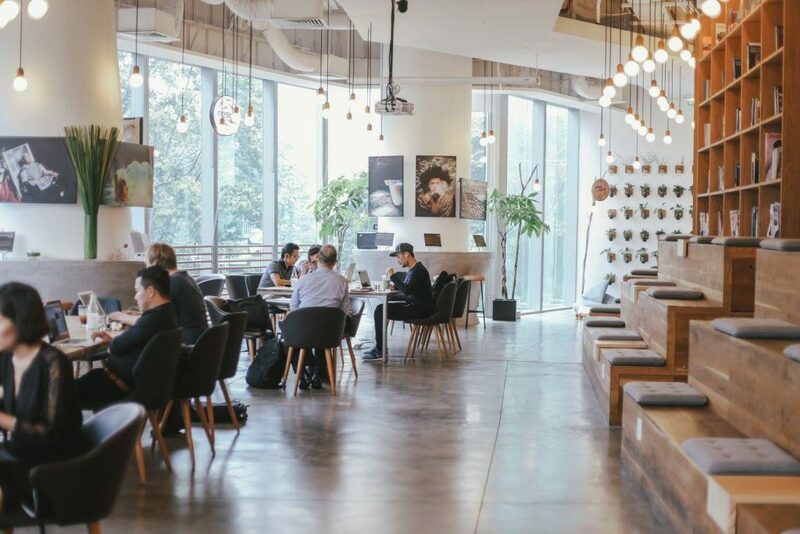 Nest by AIA is a hotspot for office workers to take their coffee breaks, so avoid the natural morning and afternoon rushes. You’ll also often find people hunkering down here with their laptops for long periods, so come on the earlier side if you plan to work. I would also be aware of the event schedule. Often times I arrive at Nest only to find that an event is booked for the space that afternoon, which means I have to go somewhere else for the day. You can find their weekly event schedule online and at the front of the cashier. The events are usually in the late afternoons and evenings, so plan to come in the morning to avoid any potential mistiming.